Discussion Linus Torvalds hosts on Bill Gates' platform ! Open Source or LF paradox? 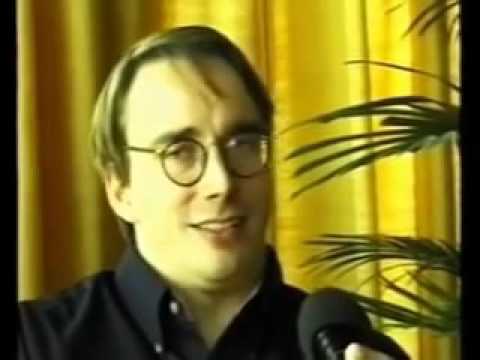 Linus Torvalds hosts on Bill Gates' platform ! Open Source or LF paradox? IN addition this is not the place for these kind of discussions which are off topic and can descend into trolldom. So please avoid these kind of general discussions in this forum. stable for the long term and it has continued pretty much as before, even better with features like enabling several privale repos per free account etc. The long answer is the LF did not "sell out" to Microsoft, rather Microsoft changed to a different beast whose entire outlook is rather dependent on open source, in the cloud and elsewhere too. Trolling ! No. Finnish - One can find translation in youtube comment section. The debate is important for third world where education , job market and govt get polarized and which is almost a complete Bill Gates' territory now. To put in simple terms, after LF course/training.........what next ! Can freedom or FOSS sustain when a single person owns github , mandates linkedIn , compromises CEOs and govts, dictates outsourcing ( all this while chanting globalization ) without legacy of Linus giving it a tough opposition. Its should be openly debated , nothing personal here. This forum is to be used specifically for discussions related to LFS211 topics. If you have questions related to the course, please post them here. Debates such as this one do not belong in this forum.